Visit your local Revenue Office today to get your Mulerider license plate. Your purchase will not only help advertise SAU, but you will be helping the University financially as $25 from the purchase of each plate is contributed to scholarships. 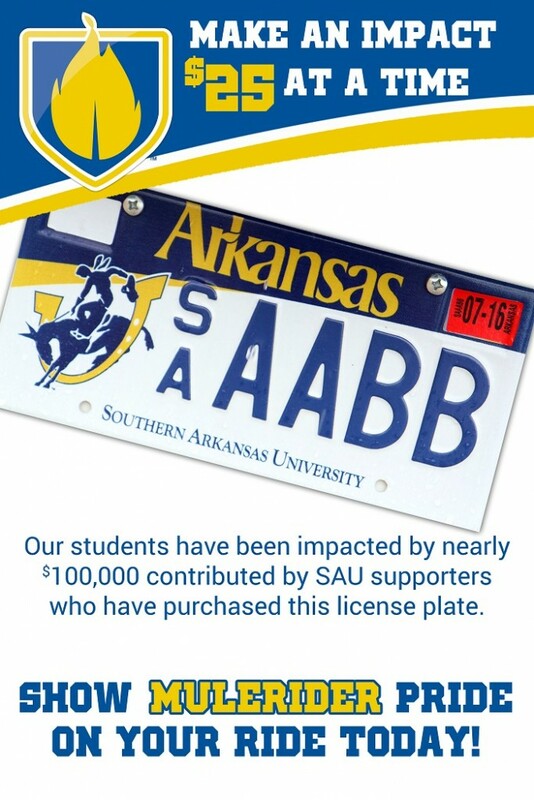 Our goal is to make SAU’s participation rate the highest for any university in Arkansas, so help by showing your Mulerider pride on your ride.